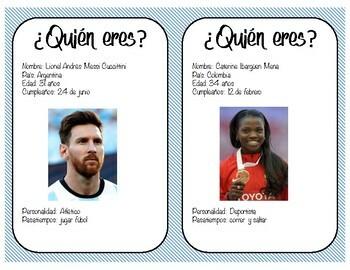 When introducing the Super 7, I like to have students talk about what Como te llamas, Where are they from and How they are. At the beginner level, and in small classes, student know each other and get shy sometimes. 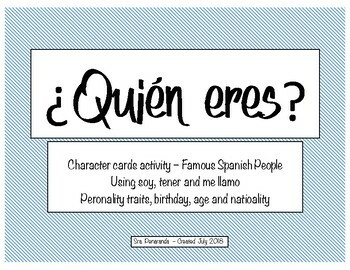 I created this activity to bring the cultural piece in, they will choose a card or two and become that person to practice the questions in another way. 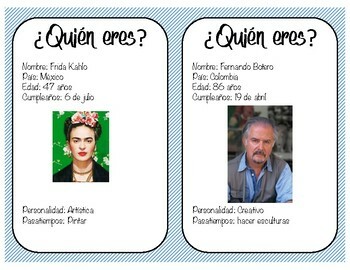 Students like to personalized famous Spanish people and practice the language in a fun way. This activity will allow you to circle in a fun way without using students' name and even have the opportunity to create small stories with it. 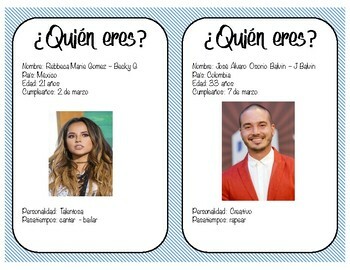 I print out the cards and laminate them to make them durable.